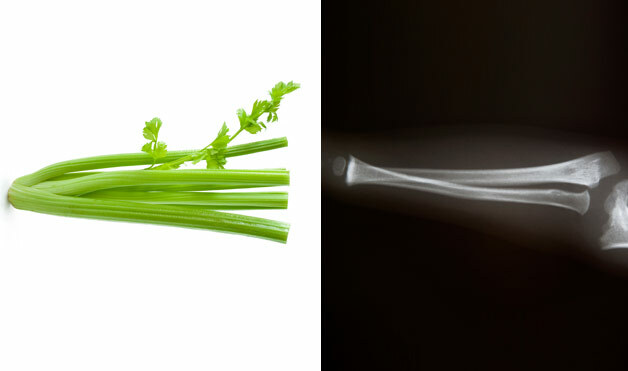 6 Comments on "Celery for bones"
Celery recipes for strengthening bones. Which works better strengthening bone juicing or eating it raw. It’s generally recommended to eat the fruits or vegetables rather than juicing them so you get the fiber as well. I was told by my natural path the celery is for yours bones and the shape of it is like your leg bone and will help heal your bones . Also your veggies are shape like the parts of your organs like walnuts is the shape of your brain and so on so no . I love veggies . I pray that this will heal cancer people on what veg. Do for you to help them.